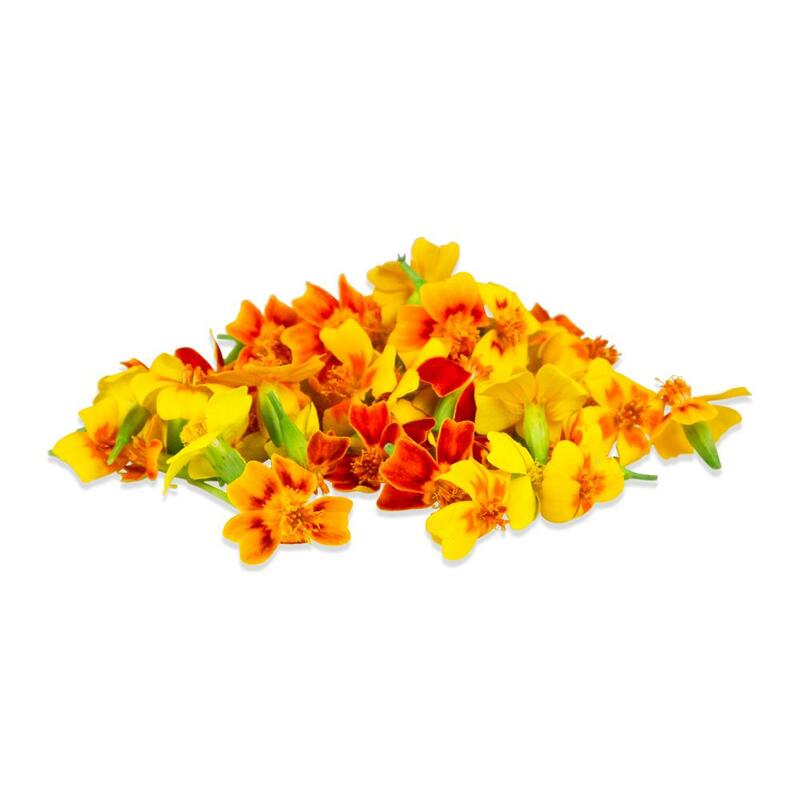 Micro Marigold™ flowers are small yellow, orange and/or dark orange blossoms on green stems. They have a citrusy, minty herb flavor that works well in salads and as an edible garnish on some dishes. 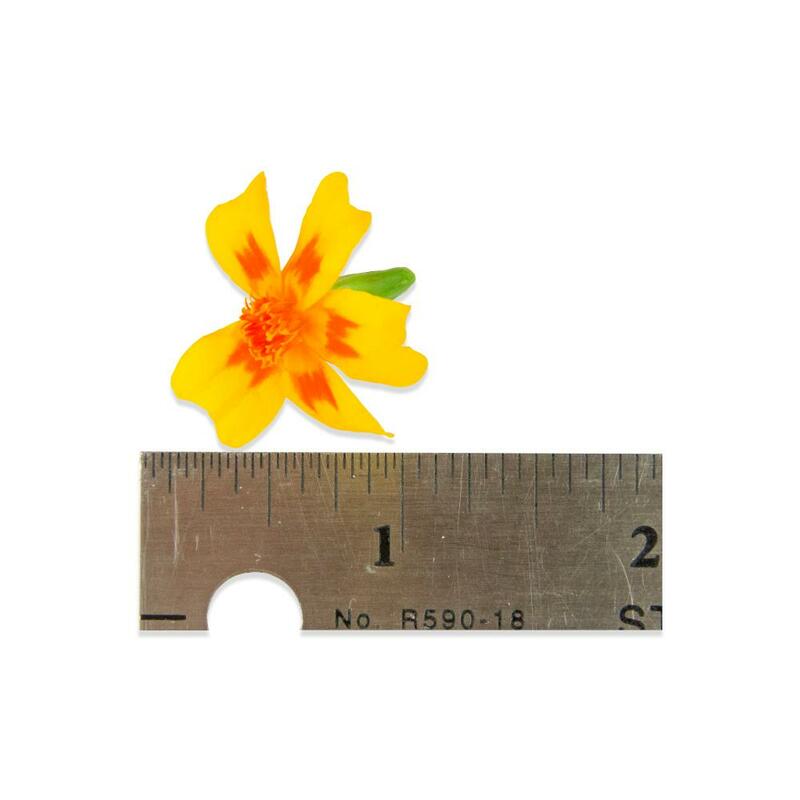 Micro Marigold™ flowers range from about ½” to 1” wide (rough estimate), with approximately ¾” long green stems attached. They tend to float well in liquids, though how well can vary with the shape of each blossom. 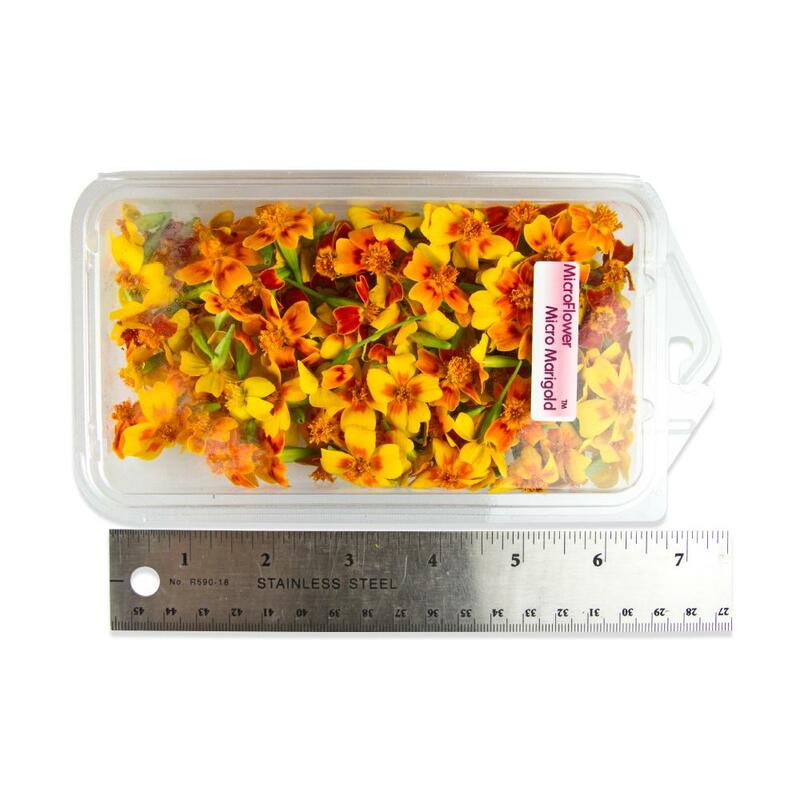 Store Micro Marigold™ flowers in their plastic clamshells in your refrigerator. Micro marigolds can be used as a decoration for plates, banquets, etc, as an edible garnish for food (as long as their strong flavor is taken into account). They can also be tossed in salads to add color and flavor.